Our Services Offered. Services Provided Page, Car descriptions and other services offered. Simply Airports & Cruise Port Transfers - Stress Free! The Leading Private London Airport Connection Family Run Company, transferring clients from Heathrow to Gatwick Airport, and into London, since 1998! THE FIRST & ONLY GENUINE ALL-INCLUSIVE LICENSED EXECUTIVE PRIVATE AIRPORT & CRUISE TRANSFER SERVICE IN LONDON! This website first went live in December 2001... but we've been serving clients in London since 1998! Since then many other small & large companies, and individuals, have since copied our website, ethics and ideas. 2001 on - First to offer a fixed fare! 2003/12 - First to offer a reduction in fare for booking online! 2005 on - First to offer set fares for London Westminster & London City Transfers. 2006 on - First to offer all inclusive Cruiseship transfer fares. No more extrea charges for waiting or car parking fees! 2007 on - First to offer all inclusive intercity transfer fares. No more extrea charges for waiting or car parking fees! 2008 on - First to offer a SMS text quotation system. Just text your journey details to +44 7967 885 221 from anywhere in the world! 2010 on - We start to offer an all Executive Service, without a fare increase. All clients get our executive service for no extra charge! 2012/17 - First London based Airport Transfer/Taxi company to join "Check-a-trade" online vetting company... after 5 years, we now have our own page on Trip Advisor instead of this. 2013/15 - First London based car company to join the American Society of Travel Agents and agree to abide by their code of ethics ... for 3 years. We still use same code of ethics! 2014 on - We ensure English speaking drivers... many large companies import drivers from EU, who don't speak English! 2016 on - We ensure drivers used by ourselves have passed the UK driving test... many large companies import drivers from EU, with foreign driving licences! So with all these firsts, we have fought to be inventive and to be original and try to keep ahead of the chasing pack by offering the best service possible.... something we still aspire to today! We know it's old looking website!!! In view of this, we did develope a new & modern website to include all these services - but our clients told us they preferred this, our original website, and to be honest it just looked like every other minicab companies 'sparkling' website. Bland and without character! So we have scrapped our new website and will continue to update this one as and when we can. We will be keeping this site for those of you who prefer the originality of this site and all our booking forms are fully secure so you still have peace of mind when you use this site. Private Hire Vehicle and Driver Services. Our specialty is our reliable & cost effective airport transfer 'Meet & Greet' service. You can book us for UK Cities, Day Trips (UK or Europe), Eurostar, Seaports, London Stations, and more! 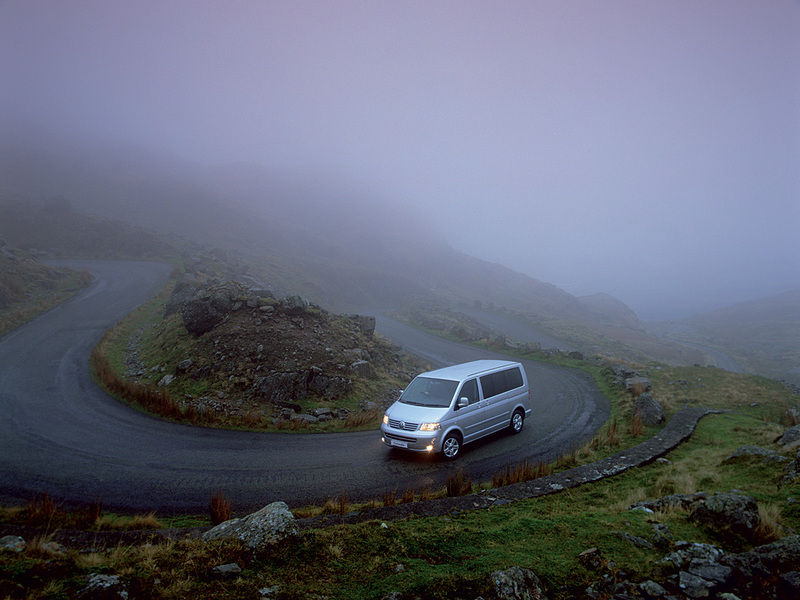 You can book single journeys, or book for the day, or for the week. Just telephone us and we'll try to accomodate your requirements! 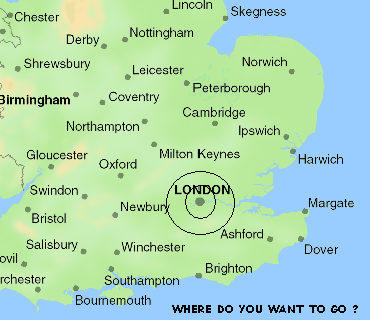 We cover the whole of Greater London and the surrounding Home Counties... and further if required! We will consider any type of journey, even into Europe if requred. We take bookings up to three years (36 months) in advance. Once booked, your fare is set, and will not rise - even if Petrol / Insurance / City Tax / Car Parking Charges do!!! Book early, we allocate time blocks for each driver, according to bookings. We never over book! See links above for our Vehicle Sizes and luggage capacities. LondonAirConnections™ vehicles are always comfortable, always clean and always tidy. Family size Saloon cars carry up to 3 people with up to 3 suitcases and hand luggage. Luxury Six Seater Minivans carry up to 6 passengers with 4-8 suitcases. 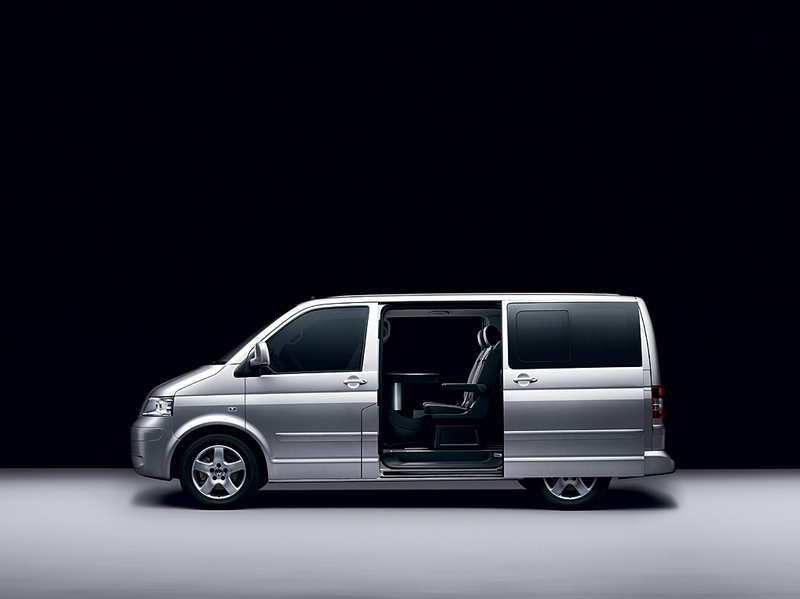 Large MPV's carry up to 6 passengers with 1 suitcase each and hand luggage. Large Minivans carry up to 8 passengers with 1 suitcase each and hand luggage too. All vehicles are fully insured for Passenger Hire according to P.C.O. License specification. All of our drivers are holders of a PCO Driving License/Permit and are from a customer service background, polite, helpful and efficient. Executive Service is also available - but not necessary, all our drivers are polite and efficient. You may prefer to use your own car seat. We can store your seat between journeys, there is a small storage charge for this extra service. Colour and model of vehicle may vary from booking to booking at our discretion. Sometimes we upgrade without warning, so you must tell us on booking if you or another passenger cannot enter a MPV. We can not always arrange the same vehicle or driver for you, but will attempt to do so when asked. If vehicle ordered is found to be too small at time of pickup, we will try to arrange a replacement correctly sized vehicle for you. BOOK THE CORRECT SIZE VEHICLE (PLEASE!) - Changing vehicle at the airport can sometimes mean a lengthy wait and an additional call out charge for the original vehicle booked. Be aware many of our competitors charge you extra for waiting time, car parking fees and have many other charges! We are genuinely all-inclusive!!! We now offerChild seats for children between 3- 36months. Any child is included as one of the seats available in each car. You may prefer to use your own car seat. (There is a small charge for this extra service). For infants under 6 months you may want to bring your own. Transfers with en-route Tours, Photo Tours, Special Occasions and Days Out! - Fully Air Conditioned. (Hot &/or Cold!). - More Leg room than an airplane or a standard car. - Full sound system. (with 'off' button if required!). - Full reclining seats and some havecaptain chairs for passengers. - In-Car Mini Fridge for Soft drin a mks on those Hot days! - A fully collapsible Table which can be positioned for one particular passenger or centrally. - Clear Glazing for photographic opportunities regardless of weather. - Mobile Telephone for client use if required. (Charge of £1.50 per minute). - Available (with a Driver) for tours or individual journeys, for the day or for the week. 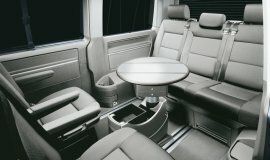 - Executive vehicle all have luxury seats and leather interior trim as a minimum. Stonehenge and Salisbury can be a super day trip! - Ideal for Weddings, Race days, Touring,..
- Special Occasions, Executive Trips and Days out! - Reasonable Hourly, Daily or Weekly Rates. PLEASE NOTE: These vehicles do not carry 'drinker's or 'clubbers'. Click above logo for some banners for you to use to link to us.